In a seminar a few years ago, Rebecca Wells-Jopling had the idea that one of the literary functions of metonymy was to enable intimacy to occur between a writer and a reader. Whereas, according to Jakobson (1956), metaphor is a semantic figure, metonym is syntactic. The best known form of metonym is synecdoche, an association between a part and a whole, so that if I say "Hollywood" you might summon up, from this prompt, the association of the whole American film industry. But Jakobson points out that at root a metonym can be any association between two terms or two events, and it is usually created by juxtaposing two terms or two events. 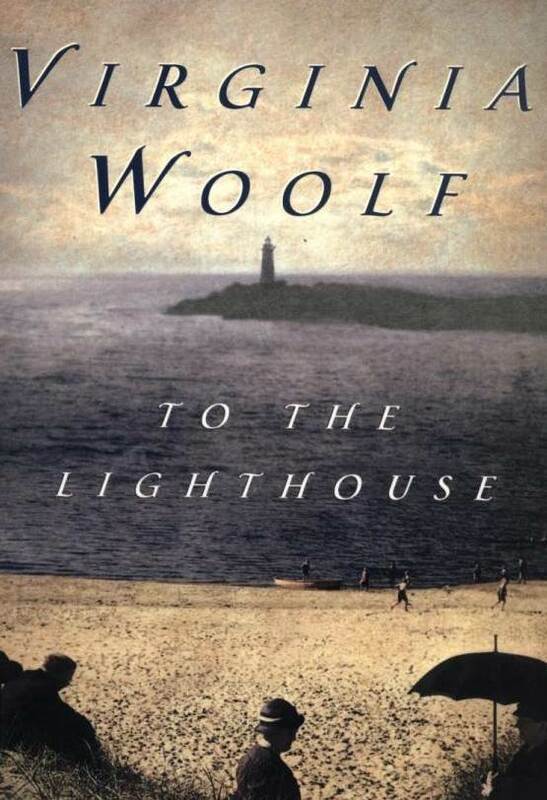 The example Rebecca offered was an incident in Virginia Woolf's To the lighthouse. Minta and Paul are almost engaged, and have been sitting together on a beach. Nancy, a daughter of Mrs Ramsay, (the protagonist of the novel) saw the couple in each other's arms, and thought they were kissing. After this scene, Minta realizes she has lost a brooch that belonged to her grandmother, and she is desperate to find it. The metonym here is the scene of two people on a beach, kissing, juxtaposed with the lost brooch. The lost brooch may seem incidental, but it's not. The association between the two events can prompt the reader into wondering whether the brooch might not have been the only thing that Minta lost that afternoon on the beach. One may find oneself asking: "Why would this writer juxtapose these two things?" 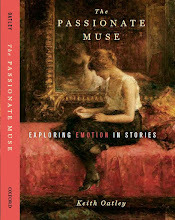 By imagining oneself into the author’s milieu (physical, emotional, and intellectual), one has a better chance of discovering the relation between the two terms of the metonym and what that relation might mean for the writer, and indeed for one’s own emotional response to the story (p. 240). Although metaphor has been discussed and analyzed very often in literary theory and psychology, metonym has been discussed and analyzed far less often, although see Lodge (1977). Metonym is, however, of an importance that is comparable to that of metaphor. 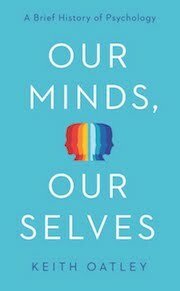 Because the associations of each individual mind are significant to the inhabitant of that mind, perhaps metonymy is even more important in creating a relationship between reader and writer, reader and book, or reader and literary character. Jakobson, R. (1956). Two aspects of language and two types of aphasic disturbance. 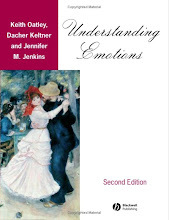 In R. Jakobson & M. Halle (Eds. ), Fundamentals of language (pp. 53-83). 'S-Gravenhage: Mouton. Lodge, D. (1977). 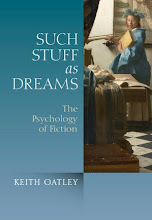 The modes of modern writing: Metaphor, metonymy, and the typology of modern fiction. Ithaca, NY: Cornell University Press. Wells-Jopling, R., & Oatley, K. (2012). Metonymy and intimacy. Journal of Literary Theory, 6, 235-252. Woolf, V. (1927). To the lighthouse. London: Hogarth. I am not sure I am willing to go all the way to calling metonym a meeting of two minds, but I am halfway there and perhaps, like metonym, the "halfway there" provides an even sweeter sense of intimacy-- a reaching out, a grasping, being more intimate than a handshake, a nod, an agreement. Thanks for your comment. Perhaps I went too far, but you reaching out to halfway may be right. The point, I think, is that fiction has important elements of the interpersonal, and entry into other minds, and the allowing of the entry of other minds into one's own, seem to be important parts of it. Thank you for your comment, JW Ashley. I agree with your eloquently imagistic comment. The reaching out gesture leaves more for me as a recipient to do in the exchange, doesn't it? Indeed, more than my making sure that my handshake is firm, or my nod decisive --gestures where cultural norms certainly impress more directives on our attempts at connection.